On Monday, April 1, the Chicago Police Department (Area Central Detectives) issued a public alert about a criminal sexual assault that reportedly occurred at 3:10 a.m. Sunday, March 31 in a home near 52nd and Nagle. immediately shared the CPD alert with our readers. Today we attempted to follow up with Chicago Police---an ordinary part of our news reporting. But curiously, as open-mouthed as CPD was on Monday, they have swung in the other direction on Tuesday. For the moment at least, they are very tight lipped about the situation---refusing to let members of the press see any paperwork on it and giving terse, "Nothing further at this time" type answers over the phone. Makes you wonder, right? Us too. When law enforcement agencies withhold information from the press and public, it is usually temporary and for the right reasons. But sometimes not, as just about all of us know. Which is it in this situation? Time will tell. Sadly and in the meantime, some among us tend to fill in the gaps with imagination and speculation. On at least one local Facebook group and a Twitter feed, a few people in the Garfield Ridge area have unfortunately whipped themselves and a few others into a lather about the situation---as they have in the past about other local crimes, both real and imagined. 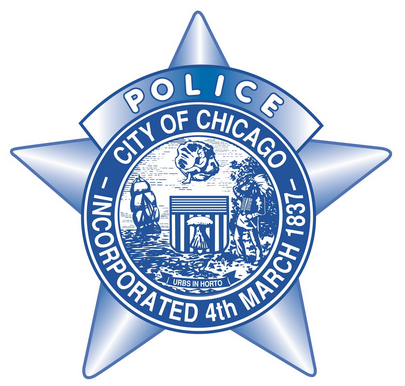 In the absence of any further on-record information from CPD, let us say this: several of our sources in and around law enforcement tell us that there are a number of question marks connected to this situation; and CPD is working to sort it out. And most important, that right now there does not appear to be any significant, reliable, slam-dunk indication that a home invader/sexual predator is on the loose. So until there is, let's all please go about our daily lives, comfortable in our own skins, proud of our neighborhood (now and always one of the best in the city), and ready to stand shoulder to shoulder against crime and for building a better and safer Garfield Ridge for us, our children and grandchildren. Excellent points you make. I agree 100%.